There are the films which become hit due to their star studded performance and then there are films which rock the silver screen with their rare combination of performance, plot line and direction. The new genre of Indian film makers are taking the step ahead, breaking the making of formula films and coming up with newest and innovative ideas to leave the audience gripped to their seats. 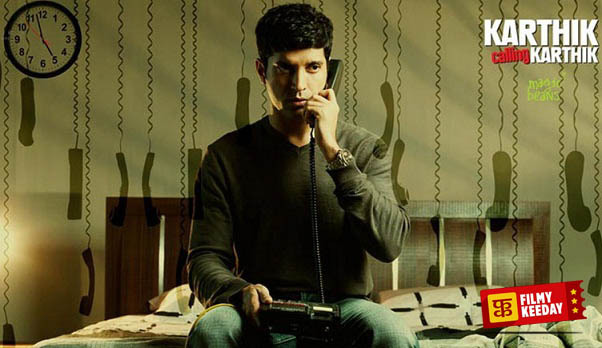 Let’s count on the following Best Indian Movies with Unexpected climax Twists. 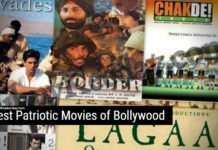 Indian Cinema rarely make films with unexpected twisted climax, but still we have few great films from all over India, in different languages. *This post may contain Spoilers !! Lucia is a Kannada psychological thriller directed by Pawan Kumar. I call it “Inception of Indian cinema“, The film stars, Sathish Ninasam, and Shruthi Hariharan. The film portrays an ordinary torch bearer Nikki who works in one of the local theatres in the outskirts of Bangalore. The film was premièred at the London Indian Film Festival and won the Best Film Audience Choice Award. It was remade in Tamil as Enakkul Oruvan starring Sidharth Narayan in the lead role. Pizza is a Tamil supernatural thriller film directed by Karthik Subbaraj. The star cast of the film includes Vijay Sethupathi, Remya Nambeesan in the lead roles, coupled with Aadukalam Naren,Karunakaran,Bobby Simha in supporting roles. This Film was remade in Bollywood with the same title Starring Akshay Oberoi. The story of the film showcases a delivery boy, working for a local pizza joint. The poor chap is continually cautioned by his girlfriend- turned-wife, a striving horror novelist that he is soon going to have a ghostly encounter. Mankatha is a Tamil action film directed by Venkat Prabhu, starring Ajith Kumar along with a chain of stars including Arjun Sarja, Trisha Krishnan, Vaibhav Reddy, Lakshmi Rai, Andrea Jeremiah, Premji Amaren, Mahat Raghavendra and Anjali. The story of the film showcases a gang of thieves who plan to steal cricket betting money worth Rs. 500 crore. The climax of the film takes a twist when an unknown man comes into the picture and joins the gang. Now the team of five goes ahead with fresh plans but nothing is going to work out as every team member starts moving with his own game. The film is directed by Sujoy Ghosh and is a Bolywood mystery thriller. The film stars Vidya Balan, Parambrata Chatterjee and Nawazuddin Siddiqui in lead roles. The story of the film explores the theme of feminism and motherhood in this patriarchal society. The film depicts the journey of a pregnant woman to find her missing husband. The helpless lady has come from London to all the way down to Kolkata for her mission. The engaging suspense of the film claims to be the best ever climax in Indian film history. Drishyam is a Malayalam thriller film directed by Jeethu Joseph. The film stars Mohanlal, Meena and Asha Sarath in the main roles, coupled with Siddique, Roshan Basheer and Neeraj Madhav in supporting roles. 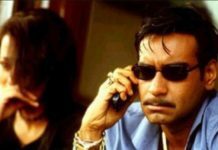 This film remade in Hindi with the same title starring Ajay Devgn, Tabu and Shriya Saran in Lead roles. Drishyam is a film about a common man and his family. We are expecting an intelligent remake in Hindi of Drishyam , The film’s success and box office record in Malayalam and Telugu makes it an iconic film in which the star actor Ajay Devgn is playing a middle class family man. This is a 2010 psychological thriller, directed by debutant Vijay Lalwani. The starcast of the film includes Farhan Akhtar and Deepika Padukone in main roles. The story revolves around Karthik, who attains triumph, and even wins the heart of his stunning co-worker, after receiving early morning phone calls from someone claiming to be himself. This turns him to an all new happy go lucky guy and everything seems to be perfect, but then the climax takes a surprising twist. And that lets the audience glued to their seats and keeps them wondering what’s gonna happen next. Munnariyippu is a mystery psychological thriller film starring Mammootty and Aparna Gopinath in the lead roles. film is about a convicted murderer C.K Raghavan (Mammootty) and how a reporter Anjali Arakkal (Aparna Gopinath) tries to recover his life. The film is all about searching the real convict or the story behind current life of the Raghavan. There is a mind blowing suspense in the climax. A Wednesday is a Bollywood Suspense thriller film directed by Neeraj Pandey. 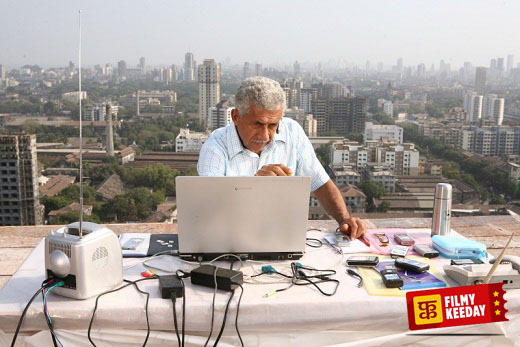 The film stars Naseeruddin Shah and Anupam Kher coupled with Jimmy Shergill, Deepal Shaw, and Aamir Bashir. The story of the film revolves around a mysterious caller who frightens to set off bombs in Mumbai unless four jailed militants are freed. Naseeruddin Shah is the show stealer in his character who questions the injustice done to the common man of the country. The film is a simple, small length, yet entertaining and gripping with a number of twists in the climax. The film portrays the enormous potential of Indian cinema. Mumbai Police is a Malayalam Murder Mystery Thriller Film directed by Rosshan Andrrews, starring Prithviraj, Jayasurya and Rahman in the lead roles, coupled with Kunjan, Aparna Nair and debutant Hima Davis. The story of the film revolves around ACP Anthony Moses, played by Prithviraj who is just about to solve a crime incident and report the name of the culprit to his boss, Farhan (Rahman), when he is caught in a terrible accident which leaves him without any memory of his past. The film follows a non-linear narration at parts and that has worked out really well in holding the audience clutched to their seats. 1 Nenokkadine is a psychological thriller directed by Sukumar, starring Mahesh Babu and Kriti Senon. The story of the film is based on a rock star who tolerates delusions that are attached to the killing of his parents and the discovery of an extraordinary variety of rice. 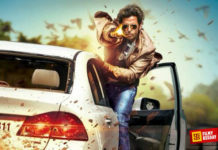 Bachchan is a Kannada action thriller film directed by Shashank. The film stars Sudeep, Bhavana, Parul Yadav and Tulip Joshi. The film is said to be the best Kannada action film. The plotline of the film revolves around Bharath aka Bachchan, a businessman who is accused of murdering a police official and a doctor. The film is quite gripping and full of twists in the climax part where the makers exactly ask the audience to forget everything that happened beforehand. 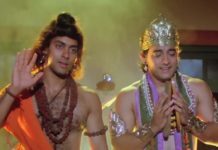 This list of Best Indian films with Twisted ending is curated after watching many Indian suspense movies. If you think some of your favorite film with the twisted climax deserves a place in this list, then do share the name in the comments.